Thank you family and friends for stopping by our registry. 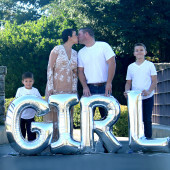 We are very excited to welcome our baby girl "Camila Rose" into our family. Due date is August 3rd 2017!